My copy of this book was a gift to me from a dear friend, Maria Picone. She’s awesome, and if you have the chance, feel free to check out her website here. It took me a bit to get into this story, but once I was finished with the first chapter, I found it impossible to put down. During the first chapter, I worried. I worried that Feyre was going to be a Katniss. There’s something for everyone in this novel, and from the beginning I understood that this particular novel is, while not marketed as, a retelling of my favourite fairy tale of all time (which if you haven’t figured it out by now, shame on you!) but moreso, this novel in no way needed to rely on the original story it likely originated from, completely able to stand on its own. If Maria hadn’t recommended this to me after reading it, I’d really have to reconsider how well she knows me. 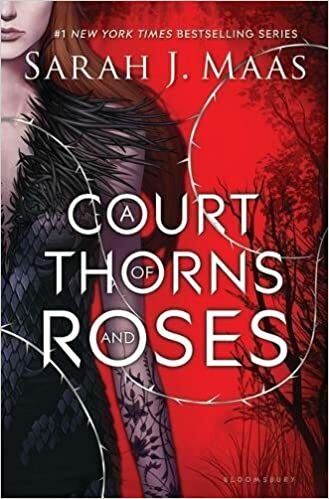 In so many stories there is an insta-romance, but with Feyre and Tamlin, it happened so slowly and gradually that it took me by surprise when Feyre realized her feelings had changed. I found myself thinking back on their interactions, on why they might have developed feelings for each other, and was pleasantly pleased with what had transpired. While Feyre and Tamlin are the main protagonists, I did enjoy the various other characters as well, and their relationships with Feyre. While Feyre is important, I liked that not everyone treated her nicely/with respect. This book is listed as Young Adult but I’d say it’s more New Adult. Such a depth and difference from any other fairy tale retelling I’ve read, having the faerie politic background, festivities, and interests not usually integral to most fairy tales, that it was impossible to not love this novel. I regret waiting so long to read this amazing book, but when someone gives you a book, it has power. It has the power to either bring you closer together, or wonder if you know each other as well as you thought. This one was the perfect mark, and I can’t wait to devour the rest in the series. Thank you, Maria! Oh, and as for the riddle… my original guess was wrong.